It looks like someone has an affinity for guns, perhaps. Can someone page Dr. Freud? 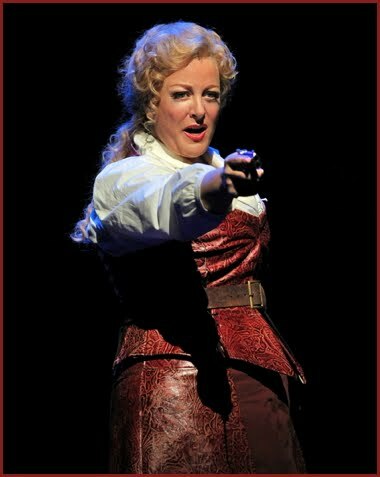 Deborah Voigt, a leading dramatic soprano known for portraying Strauss and Wagner heroines, will be packing heat next summer in the title role of Irving Berlin’s Annie Get Your Gun at the Glimmerglass Opera Festival.